The Internet has had a huge impact on how children interact with the world. It can be a powerful learning tool, provide a way to share creative expression, and connect children outside their immediate community. Establish limits for which sites/apps children may visit, and for how long. Remember to also monitor cell phones, gaming devices, and laptops. As with any safety issue, it's wise to talk with kids about concerns, take advantage of resources to protect them, and keep a close eye on their activities. Our partners at the Suffolk County District Attorney's Office developed Stop, Block, Talk to teach youth about internet safety and cyberbullying. To schedule a training for youth, fill out this form. 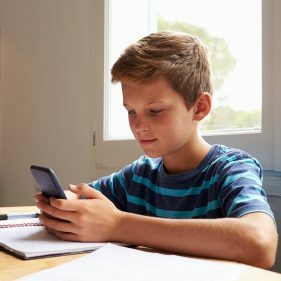 What do children do online? What do your children do online? Is your child's explicit content out there?